Careful, considered research and design, and a light hand during construction were key to protecting and enhancing the wetland habitat. The restoration of King John Creek was critical to the long term survival of important wetland habitat and the establishment of accessible recreational parkland. Commissioned by the Happenstance Group, VERDé completed concept design, documentation and contract administration for the project’s streetscape, parkland, riparian and natural areas. The creek and associated habitat were in significant decline after years of poor management and rubbish dumping. 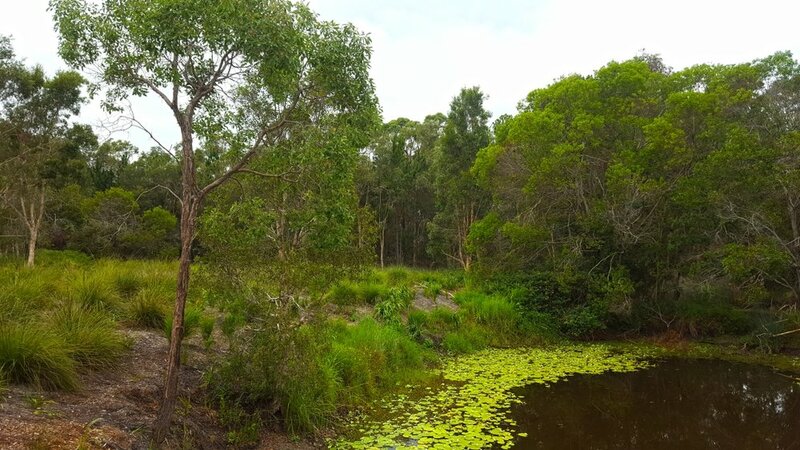 In 2016, Happenstance Group were able to acquire the land adjacent to the creek and undertake design to realise significant restoration of the creek and wetland habitat whilst providing access via recreational parkland along the banks of the creek. Thorough research and a light hand during construction were key to protecting and enhancing the wetland habitat and providing accessible recreational parkland for the community. Close collaboration with Council and the construction team resulted in cost savings, and delivery of a project that has been embraced by local residents and seen the return of native fauna to the area.